We had a discussion with him regarding his risk, goals and preferences and decided for admit for acute coronary syndrome rule out. Our ED observation unit is full, so we admit him to the Cardiology floor for “observation” and continue acute coronary syndrome rule out with serial troponins and possible stress test vs angiogram. 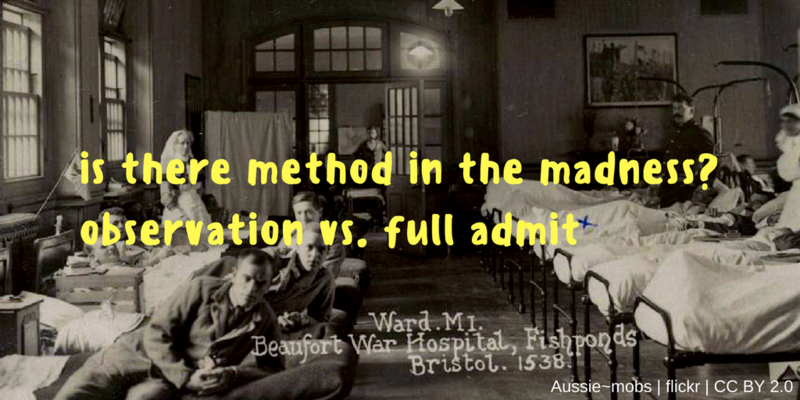 "I cannot stay if is observation, please admit me as an inpatient instead”, “I already have too many bills to pay”.